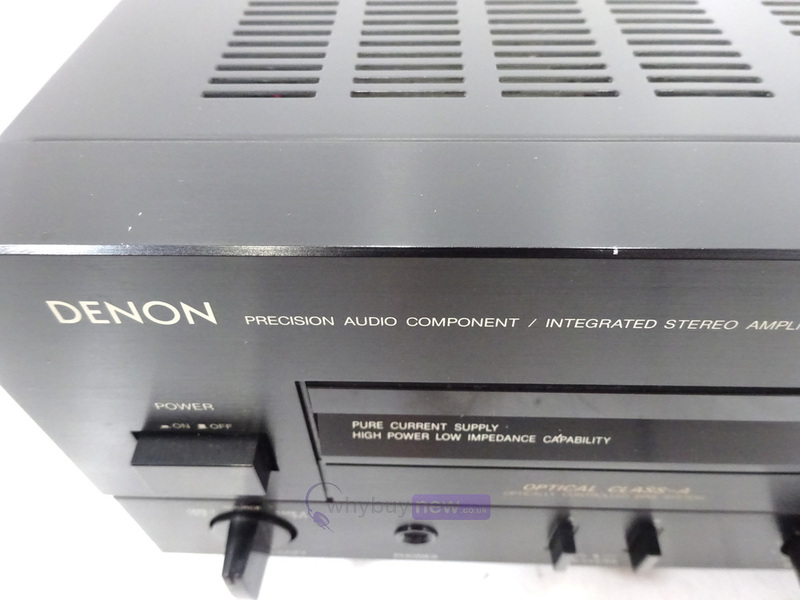 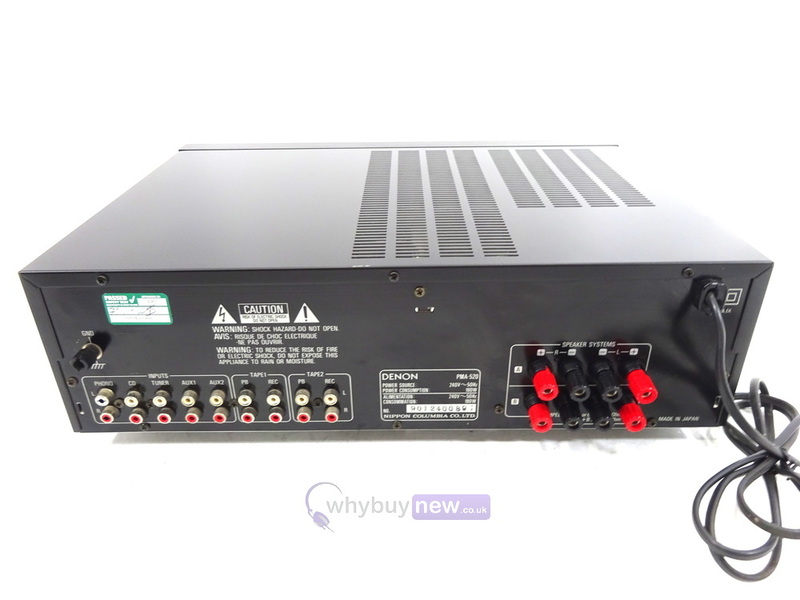 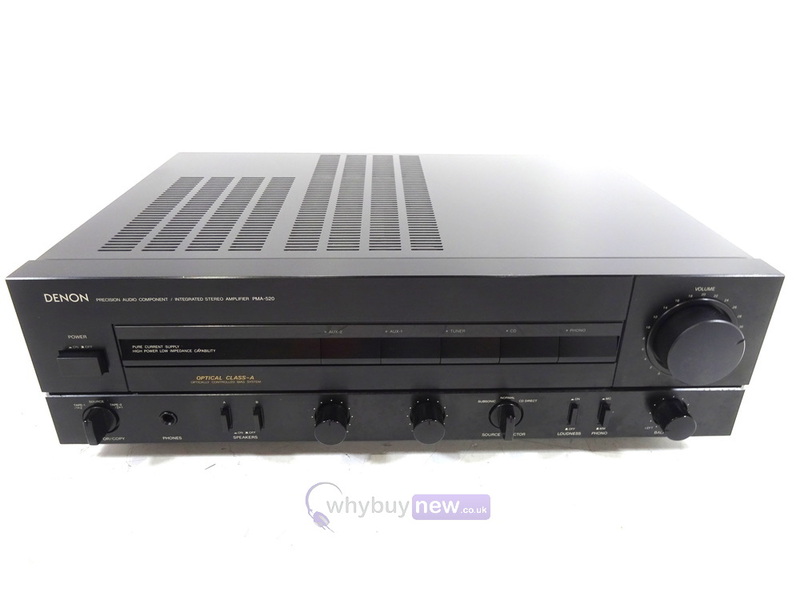 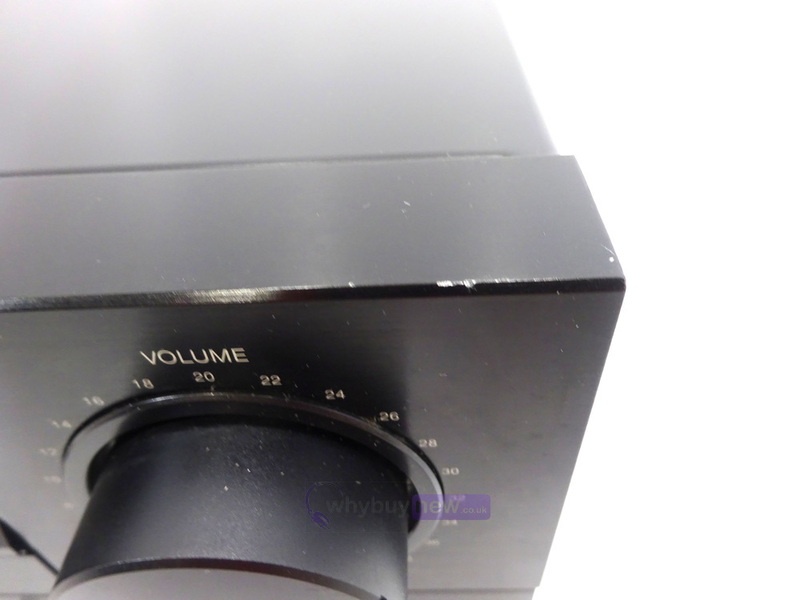 This Denon PMA-520AE Integrated Amplifier has come to us via a part exchange and comes with a 6 month warranty. 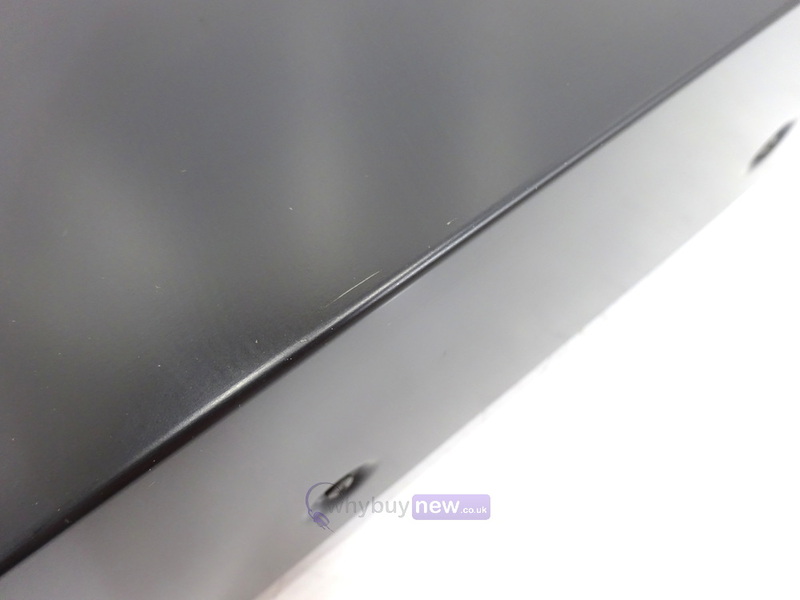 The item is in average cosmetic condition with some marks (please see photos). The PMA-520AE integrated amplifier features a High-Current Single-Push-Pull circuitry to achieve both strength and detail in music playback, which is Denons focus for its pure audio amplifiers. 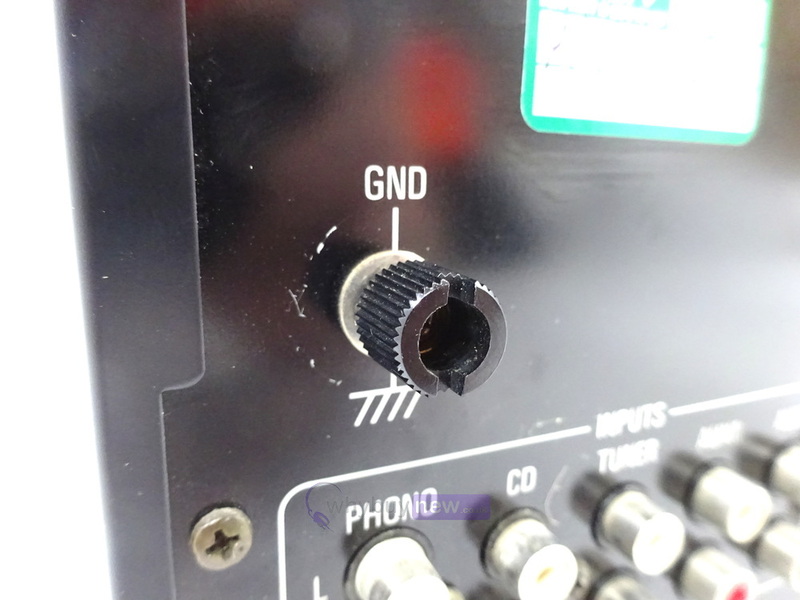 The relay switch used for CD and Phono input contains an inert gas to prevent the occurrence of noise that can negatively affect the signal. 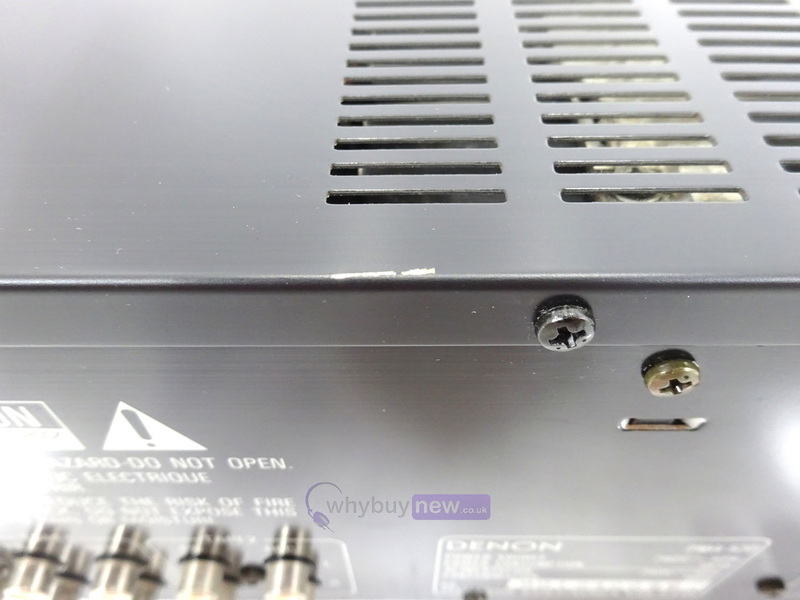 In addition, durable parts strictly selected for their contribution to sound quality, such as the large-capacity block capacitor for the power supply circuit, high-quality sound carbon resistors, and high-quality sound capacitors, are also used. 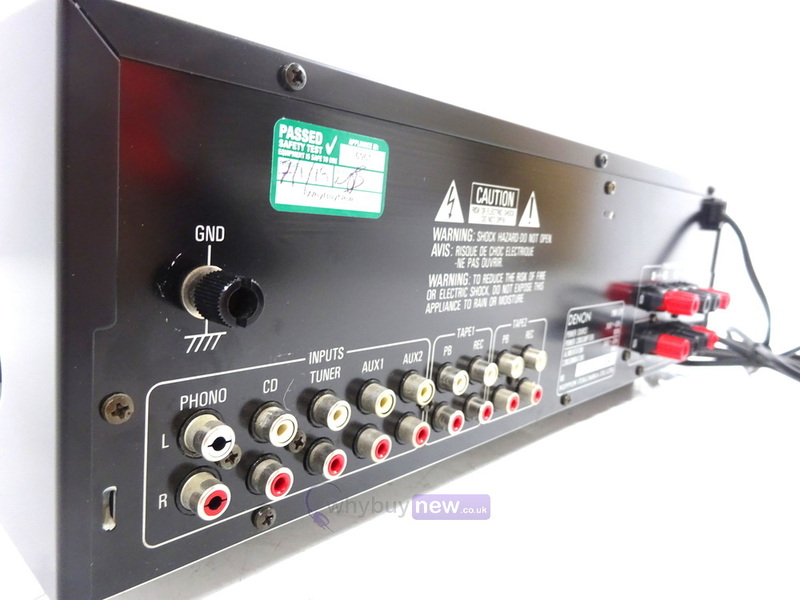 Each individual part employed in configuring the circuits reflects this emphasis on high fidelity.